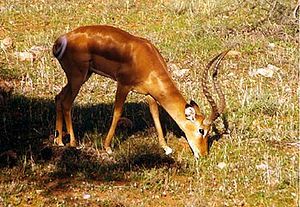 Vlad the Impala is best known in automotive history as a distant relative of Christine from the Stephen King story of the same name. 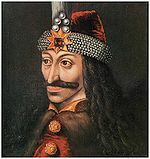 The inspiration for the Dracula tales of nearby Transylvania, Vlad ruled Valahia in southern RomaniaFormat:Dn with a cast-iron pot and a cast-iron fist. Neither of these were enchanted, but Vlad's strength was so great that he was able to bypass the damage resistance of his enemies. This impala is not called Vlad. In fact. it's not a car at all, it's a different sort of impala. Sorry for wasting your time. Vlad The Impala, famed chariot of the Impaler, came complete with a forest of spikes on which thousands of enemies and would-be traitors would be impaled. "Your local Christian crusader" bumper-stickers warned Muslim-faithed Ottoman Turks that they and their little tin-can import cars were Vlad the Impala's favourite target. Vlad the Impala could often be found covered with the blood of infidels and traitors; one tale tells of Vlad leading beggars into the drive-throughs in search of free food and then, as "they sought to eat the people's food for nothing and could not repay," sentencing them to a fiery death trapped between Vlad and an exploding Ford Pinto. Countless of other tales of Vlad's wickedness, written over the ages, are recounted in the records of Romanian auto insurance companies. His cruelty even went so far as to appear on Celebrity Big Brother. "Is it a wonder that we were a conquering race, that we were proud; that when the Mazda, the Lexus, the Audi, the BMW or the Toyota drove in thousands to our frontiers we drove them back?...To us, for centuries, was trusted the guarding of the frontier of Turkeyland for large GM vehicles; aye, and more than that, endless duty of the frontier guard. We avenge the misdeeds of my ancestors who sold their vehicles to the Turk and brought the shame of slavery on them!" Contrary to popular belief, Vlad does not appear in Hellsing. Is also famous for the most recent renovation of the University Politehnica of Bucharest in 1400 AD. Ultima editare a paginii a fost efectuată la 19 septembrie 2011, ora 01:37.